Materialverbrauch: 800 m Farbe A, 400 m Farbe B (Lacegarn). 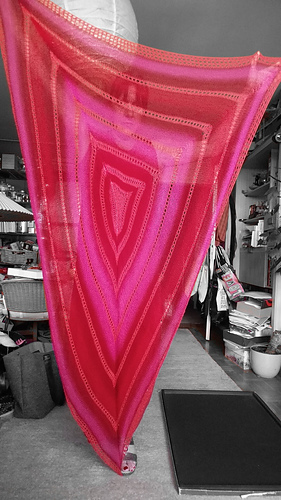 ’Sonnenstrahl’ (’sunbeam’) ist an asymmetrical triangular shawl, worked from the center outwards. 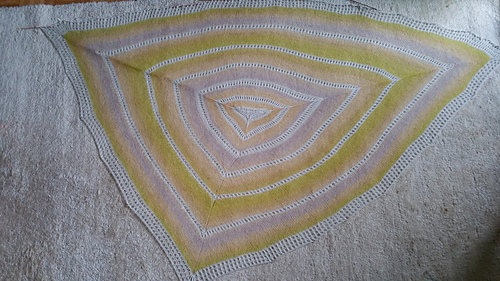 At the beginning, you have to bear with half an hour of fumbling with circular needles. After that you can lean back, because it’s mostly mindless stockinette stitches in the round, interrupted by a few lace rows. 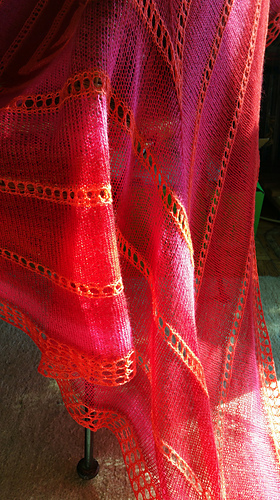 The same lace rows form the edging. 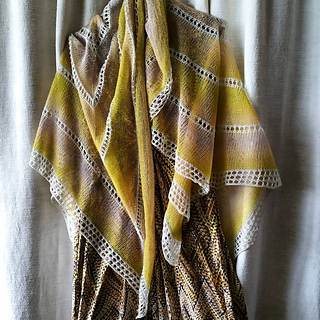 There is only one uncommon element: stacked increases within the lace rows. Those are necessary to make the shape more distinctive. There is a step-by-step instruction for those not familiar with the technique. You’ll need 800 m of color A and 400 m of color B (lace yarn). 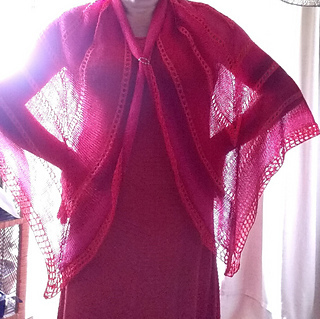 Ein herzliches Danke / lots of thanks to anuket111 who did a really fast test knit!